Did you know most people think that a WC64KD worked like a convertible, to be folded down when desired, since the vehicle was called a "knockdown" ambulance? That was not the case, assembled in place would have been about a three or four-hour job for a half-dozen men. Did you know after D-day ambulances had no white stars on roof or bonnet? They only painted red-crosses on them as the Geneva Convention says so plains couldn't mistake attacking them for they now where complete neutral. Did you know WWII ambulances where painted OD insite not white? 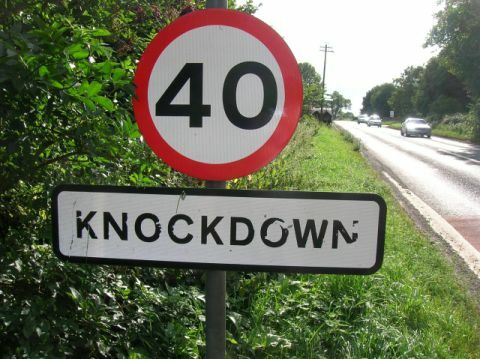 Although this may have been done when and if they were refurbished for later use. Did you know in WWII ambulances had no sirens, blue or red flash lights? 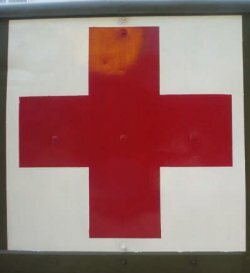 Did you know the Geneva Red Cross symbol is protected by law and only to be used by members of the Red Cross or Army medical units? Driving around with your historical ambulance with unprotected red crosses on public roads is illegal and you can be prosecuted for it. And I want to know where the are, please help me! As scarce as they are, the KD’s have turned up in several movies, although usually very briefly. - Command Decision (1948) with Clark Gable. The name Jeep finally stuck when the chief test driver for Willys drove a prototype up the steps of the Capital Building and a bystander asked him, “What is that THING?” He yelled, “It’s a Jeep!” Washington Daily News reporter Katherine Hillyer overheard the remark and captioned the picture with the name…Jeep. Russell Pratt, Bahama, North Carolina. Ordnance Supply Catalog, ORD 9 SNL G-502, Truck, 3/4 Ton, 4x4 (Dodge) (Model T-214), 1 May 1945. Do you have more DID YOU KNOWS?